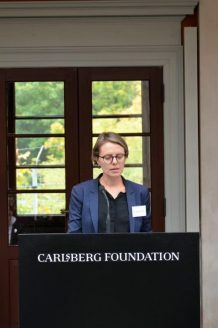 The DNRF and the Carlsberg Foundation together arranged a networking meeting for research funders and research councils in Denmark on October 11. Under the headline, Pivotal moments and Quantum jumps, the meeting revolved around how research funders and universities can strengthen the careers of talented young researchers. The Danish research funding system plays an essential role in the identification and funding of the most talented young researchers by providing the opportunity to develop and nurture an independent research culture among the younger generation of researchers. In the opening speech, chair of the Board of the DNRF, Liselotte Højgaard, called for a long-term political and financial support of Danish research, if the current high standing is not to be undermined. According to Højgaard, the recent joint policy paper “Forskning for fremtiden” ( “Research for the Future”) from the Confederation of Danish Industry and the Central Organisation of Industrial Employees in Denmark outlines visionary and precise measures to be taken. Research funders, researchers, and stakeholders, should help raise the awareness of the importance of science and research among the wider public as well as the government. In the first part of the program, four talented young scientists representing different areas of research gave their personal accounts of pivotal moments in their careers and of their breakthrough discoveries. Dorthe Ravnsbæk, associate professor in chemistry at the University of Southern Denmark, made the point that institutions should provide an arena for inspirational meetings between students and researchers. She noted how inspirational teachers, supervisors, and more experienced researchers were extremely important for her choice of career and how they have motivated her research in groundbreaking chemical research. Associate professor in history at the University of Aarhus, Nina Javette Koefoed, gave an account of how her affiliation with research networks within the humanities had not only defined her choice of becoming a researcher but also enabled her to stay in research and excel during a very challenging period of her life. For professor Martin Bizzarro from the DNRF’s Center for Star and Planet Formation, his early experience as an elite sportsman was translatable to the demands of a successful research career. Today, as an experienced research leader, he strives to attract diverse research talents that, using a football metaphor, fill out roles as defenders, midfielders, and forwards. Professor Hans Wandall, from the DNRF’s Copenhagen Glycomics Center, also emphasized the importance of meeting a mentor early in his research career and how the thrill of exploring uncharted territory has motivated him to do research. Wandall also mentioned how serendipity had played a crucial role at several steps in his research career. The speakers in the second part of the program gave Danish and international perspectives on the opportunities provided to young research talents by universities and research funders. Professor and vice chancellor of the University of Surrey, G.Q. Max Lu, gave examples from his career in Asia, Australia, and the UK. At the University of Surrey, Professor Lu has implemented his philosophy for talent development that combines an emphasis on research excellence, the development of soft skills and cooperation with Industry. In addition, Lu also presented the model used by the University of Surrey to illustrate its impressive direct and indirect impact on society. 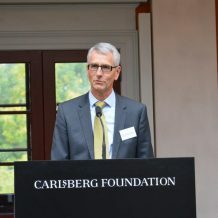 Recruiting the very best research talents is essential if Denmark is to keep up with global development, according to the chairman of the Carlsberg Foundation, Flemming Besenbacher. In addition, Danish decision makers should increase their awareness about how fast change is occurring in the most dynamic academic environments, the consequences of digitalization and the fourth industrial revolution and the grand societal challenges. One measure is to strengthen the research institutions by reorganizing Danish universities. The final discussion focused on the importance of supporting scientific excellence and young researchers with the potential for scientific breakthroughsAnother widely acknowledged issue was that scientific excellence always leads to a positive societal impact. 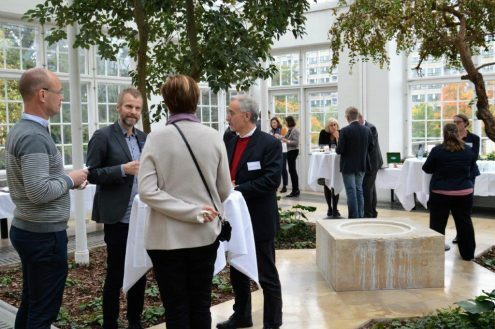 The networking meeting for research funders and research councils is an annual event that gathers all of the large Danish public and private research funders and their stakeholders. This year’s meeting took place at the Carlsberg Academy, the former residence of brewer J.C. Jacobsen, the founder of Carlsberg, and the honorary residence of several prominent Danish researchers, including Niels Bohr.